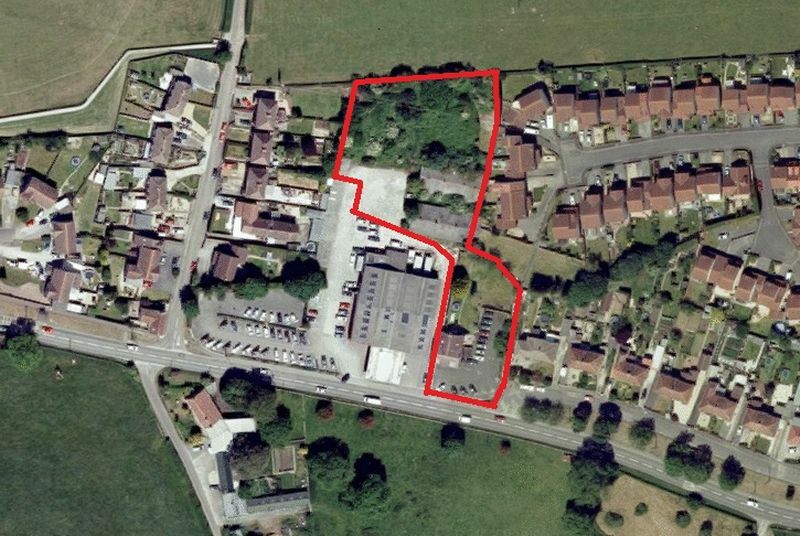 Brownfield Development site with full planning granted for 18 houses (4 affordable). The site measures approximately 0.5 h (1.2acres). Located in the centre of the village close to all the amenities the site stretches back from the main road and backs on to open countryside with established housing to the east on Hempitts Road and Pursey Car Dealership to the West (not affected by the development). The site is accessed from Mildred Road with the creation of an adoptable highway following the demolition of the existing building. Mendip District Council Planning application No. 2013/1831. 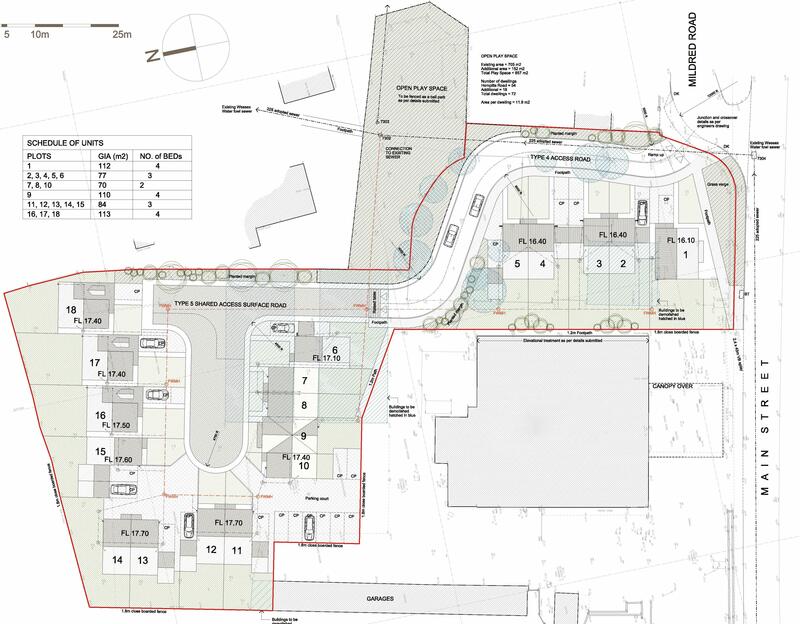 Approval of details reserved by conditions 3 (layout, scale, appearance and landscaping), 4 (site levels) and 5 (energy conservation measures), 10 (acoustic fencing) and 12 (open space fencing) of outline planning permission 011354/010. Provision of 4 affordable houses (plots 7, 8, 9 & 10) and the existing Open Play Space to be extended and improved with new fencing suitable for ball games. The existing play area will be extended by 152sqm to bring the new area to a total of 857sqm.